I have always marveled at receiving official-type snail-mail from various companies and government agencies, which contained not only the important, printed page(s) which were the reason for the piece of mail, but also one or more blank, empty, extra (usually white), envelope-filler pages with nothing on them. Even more marvelous, these printed and blank pages were accompanied by one or more pages stating, “This Page Intentionally Left Blank” to be sure I was not confused! 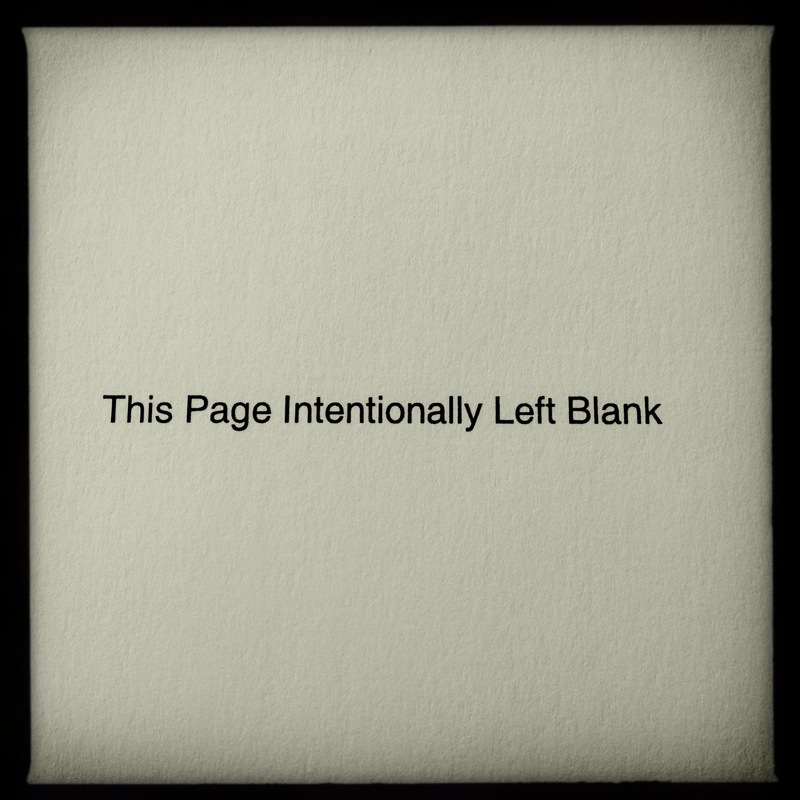 The page today / is left intentionally blank / a negative space. The concept of “negative space” comes from art class: it refers to the unused, untouched, unpainted, blank area of the canvas or paper on which you create a work of art. Logically, we can assume the area where you draw or paint can be referred to as the “positive space”, though I never heard anyone call it that. My best art teachers were consistent in telling me to consider the negative space as part of any artwork’s composition, affecting its message, meaning, and the feeling(s) provoked by the artwork. The same approach can be (and is) applied to graphic design, or a well laid-out page of correspondence. Can we conclude that the senders of blank pages, are sending us messages in the form of negative space? Are there subliminal messages written in invisible ink? Is there some dark purpose to these unseen messages, which is entering our subconsciousness secretly, compelling us to change our behavior? So, over the years, I have watched these strange, inexplicably, partially and/or intentionally empty pages go by, and placed them in the recycling bin with a sigh…as a few more trees were killed unnecessarily, to prevent (unsuccessfully) my confusion. I originally wrote and blog posted a while back about the “blank pages” without searching online for answers — just asking around. However, as I prepared to publish this silly, updated diatribe about them, I decided to hit the search engines with phrases like, “why the blank page” and “this page intentionally left blank” to see what is out there. I was promptly rewarded, and deeply gratified to find that I was not alone in wondering why they exist!